I participated in a campaign on behalf of Mom Central Consulting (#MC) for Armstrong Residential Ceilings. I received a promotional item as a thank you for participating. All opinions expressed are my own. We have painted ceilings in every room in our home and, to be honest, I had never paid much attention to them aside from noticing the occasional cobweb. That was until we had a plumbing issue upstairs about a month ago and the water from the pipes leaked from behind the wall of the shower down into the ceiling of our kitchen. Now it's all I can do to not look up at the ceiling because our nicely painted white ceiling currently has an unsightly brown-yellow spot approximately a foot wide on it. Although my husband was a able to install hardwood flooring in our living room and even repair the plumbing issue we had upstairs himself, we are not as confident about our ability to fix the ceiling ourselves beyond just repainting it. One thing we've learned about DIY home projects is that we need to recognize our limits, especially when I'm dreaming about a tin tile or drop panel ceiling. 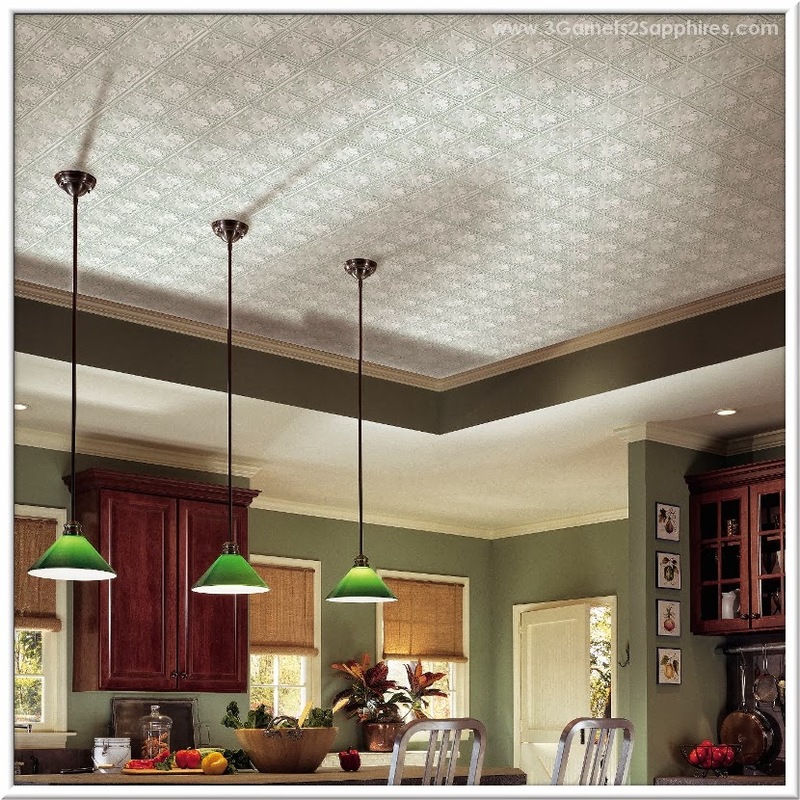 Which ceiling could use a makeover in your home? Through March 15th, you can enter for a chance to win a $2,500 grand prize room makeover, which includes an Armstrong ceiling, an installation credit, and a $1,000 Lowe’s gift card, in the Armstrong Residential Ceilings"Style Is Looking Up” Giveaway. Also through to March 15th, Armstrong Residential Ceilings will select a winner each week to receive a $50 Lowe’s gift card! Visit Armstrong Residential Ceilings on Facebook to enter and for the official contest rules.